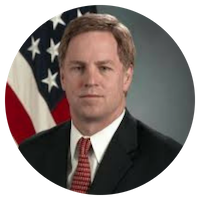 Mr. Alan R. Shaffer currently serves as the Deputy Under Secretary of Defense for Acquisition and Sustainment (A&S). Senate confirmed in January 2019, he is responsible to the Under Secretary of Defense for all matters pertaining to acquisition; contract administration; logistics and material readiness; installations and environment; operational energy; chemical, biological, and nuclear weapons; the acquisition workforce; and the defense industrial base. Read more. Ms. Anita Bales was appointed as the Director, Defense Contract Audit Agency on August 31, 2014, and is responsible for all matters related to the management of the Agency and its resources. In that position she is responsible for managing the worldwide operation of the DCAA and its resources. DCAA performs contract audits for DoD and provides accounting and financial advisory services regarding contracts and subcontracts to all DoD Components in support of national defense. These services are provided in connection with negotiation, administration, and settlement of contracts and subcontracts. Ms. Bales, through an executive team, exercises executive direction for a staff of over 5,000 personnel, 85 percent of which are professional auditors, with a $600 million annual operating budget. As the Director, Ms. Bales directs the planning, development, execution, and evaluation of comprehensive programs to implement public law and Secretary of Defense Directives in carrying out the contract audit mission assignment to the Agency. 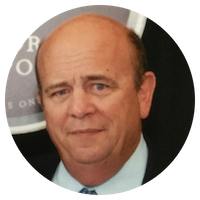 Mr. Brouillette has three decades of experience in both the public and private sector. Most recently he was the Senior Vice President and head of public policy for USAA, the Nation’s leading provider of financial services to the military community. Before joining USAA, Mr. Brouillette was a Vice President of Ford Motor Company, where he led the automaker’s domestic policy teams and served on its North American Operating Committee. Read more. Mr. Evanina serves as the head of Counterintelligence (CI) for the U.S. Government and as the principal CI and security advisor to the Director of National Intelligence. As the Director of the National Counterintelligence and Security Center (NCSC), Mr. Evanina is responsible for leading and supporting the CI and security activities of the U.S. Intelligence Community, the U.S. Government, and U.S. private sector entities at risk from intelligence collection or attack by foreign adversaries. He oversees national-level programs and activities such as the National Insider Threat Task Force; personnel security and background investigations; continuous evaluation; information technology protection standards and compliance; CI cyber operations; supply chain risk management; threat awareness to sectors of the U.S. critical infrastructure; national-level damage assessments from espionage or unauthorized disclosures, CI mission management, and national CI and security training programs. Read more. David leads KPMG’s Federal Risk Strategy and Compliance Practice, specializing in investigations, forensic applications and risk mitigation strategies concerning internal and external threats to business operations. He is fully engaged in security policy reform efforts. David is a former Inspector General of the Central Intelligence Agency and federal career law enforcement senior executive, having served in the Departments of Treasury, Defense and the U.S. Air Force and as the Chief Investigator for the US Senate Permanent Subcommittee on Investigation and the Democratic Staff Director of the US House Permanent Select Committee on Intelligence. He has over 40 years of professional experience conducting and leading investigations, examining public policy and conducting audits, evaluations, and regulatory inspections and transforming federal business operations. Mallory Barg Bulman is responsible for leading the Partnership’s research and evaluation portfolios. Specifically, she is responsible for strengthening the evidence the Partnership uses to hold government leaders accountable and identifying innovation and best practices across government. She is also responsible for assessing the impact of the Partnership’s programs and supporting the Partnership’s continuous improvement. She has more than a decade of experience using data and insights to drive change in government. Dan Chenok is Executive Director of the IBM Center for The Business of Government. He oversees all of the Center's activities in connecting research to practice to benefit government, and has written and spoken extensively around government technology, cybersecurity, privacy, regulation, budget, acquisition, and Presidential transitions. Mr. Chenok previously led consulting services for Public Sector Technology Strategy, working with IBM government, healthcare, and education clients. Read more here. Mr. Folks currently serves as an acquisition strategist for the CIA’s Directorate of Support (DS) where he is focused on optimizing contractual support from conceptualization through closeout. He is actively involved with vendor partners on improving policy, process and procedures that inhibit contractual performance. He has over 25 years of experience in federal contracts and has served in various technical and managerial roles across multiple Agency directorates. As an Agency certified level IV Contracting Officers Technical Representative (COTR) and PM level III he has been a member of the Agency Acquisition Review Board (AARB), Strategic Vendor Management (SVM) program and PM/COTR council. Mr. Folks holds a BS degree in computer science and mathematics, MBA and graduate certifications in systems engineering and executive leadership. Mr. Heath is responsible for ensuring all acquisition and contracting requirements are executed to support the DVD and the vetting mission. Mr. Heath serves as a principal advisor to the Director, DVD, DVD Senior Advisor for Security and Suitability, and the DSS Head of the Contracting Activity on DVD acquisition and contracting strategies, including transition related activities and transformation activities involving contract requirements. Additionally, he was instrumental in establishing the DSS Other Transaction Authority (OTA) policy and procedures for DSS and currently serves as a DSS Agreements Officer, responsible for executing OTA Agreements for DSS and DVD. 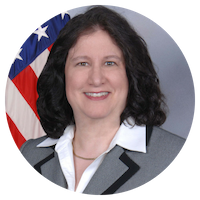 Kim Herrington currently serves as the Acting Principal Director, Defense Pricing and Contracting DPC), in the Office of the Secretary of Defense (OSD), U.S. Department of Defense (DoD). He is responsible for contract pricing and procurement policy matters within DoD, whose 30,000 contracting professionals spend over $300 Billion annually. 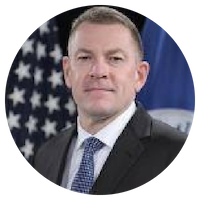 He serves as the principal advisor to the Under Secretary of Defense for Acquisition and Sustainment (USD (A&S)) on acquisition and procurement negotiation strategies for all major weapon systems programs, and major automated information systems programs. He is responsible for assisting the USD (A&S) in the implementation of the Department’s operational priorities, including business reform initiatives to reduce operational costs and speed delivery to the warfighter. He oversees business enterprise initiatives related to pricing; domestic, international, and contingency contract policy for DoD, and associated e-business solutions; and DoD procurement regulations. Prior to assuming his current role as Acting Principal Director, DPC, Mr Herrington served as Director for Industrial Base Acquisition Portfolio Management for Acquisition and Sustainment (A&S). In this capacity, he was responsible to the Under Secretary of Defense for critically analyzing the U.S. defense acquisition process to provide practical recommendations for improvisation. Most recently, Herrington worked as a consultant supporting the aerospace and defense industry. He provided consulting services on program management, earned value management, risk management and strategic decision making. 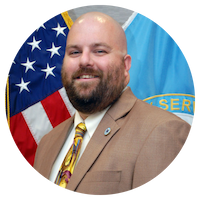 Reporting to the Under Secretary for Management, Richard McComb was appointed to the Senior Executive Service and position of Chief Security Officer (CSO) for the U.S. Department of Homeland Security effective April 3, 2016. In his role as CSO, Mr. McComb is responsible for security-related programs affecting the more than 235,000 DHS employees that make up the Department. Designated as the Senior Agency Official by the DHS Secretary, Mr. McComb has oversight authorities over all DHS security programs, including those undertaken at all DHS Components. He exercises department-wide security program authorities in the areas of personnel security, physical security and investigations, administrative security, insider threats, identity management, special access programs, and security training and awareness. As Chair of the CSO Council, Mr. McComb partners with all his counterparts in the DHS Components to lead a highly collaborative and uniquely decentralized security program designed to safeguard the Department’s people, property, information, and systems. Prior to coming to DHS, Mr. McComb served as the Director, Leased Facilities Protection Directorate, Pentagon Force Protection Agency. In this capacity, Mr. McComb had overall responsibility for force protection, security, law enforcement, and emergency management functions for all Department of Defense (DoD) leased and DoD-occupied facilities in the National Capital Region (NCR), excluding the Pentagon Reservation. 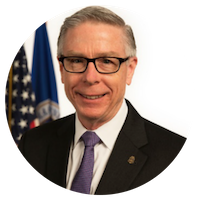 Charles S. Phalen, Jr. is the Director of the National Background Investigations Bureau, an organizational element of the U.S. Office of Personnel Management. In this role, he leads a government-wide organization providing investigations for national security, suitability, and credentialing determinations for more than 100 federal agencies. In his previous position, Mr. Phalen was Vice President of Corporate Security for Northrop Grumman Corporation and led the security organization responsible for overseeing the security policies, procedures and processes that protect company employees, information and property worldwide. Prior to that, Mr. Phalen spent 30 years in the federal service. His most recent government positions include Director of Security for the Central Intelligence Agency; Assistant Director, Security Division, Federal Bureau of Investigation; Chief, Protective Programs Group, CIA Office of Security; Executive Officer, CIA Office of Security; Center Chief, CIA Office of Facilities and Security Services; and Chief, Facilities and Information Security Division, National Reconnaissance Office. Previously, he managed security activities involving investigations, operations support, risk analysis, and facility and asset protection, in the United States and abroad. Garry Reid serves as the Director for Defense Intelligence (CL&S) reporting directly to the Under Secretary of Defense for Intelligence (USD(I)). In this capacity he is responsible for the formulation and implementation of policy and resources to conduct counterintelligence, law enforcement, and security programs. Previous assignments include Senior Advisor to the USD(I) and the Director for Defense Intelligence (Intelligence & Security). Mr. Reid previously served in the Office of the Under Secretary of Defense for Policy as the Principal Deputy Assistant Secretary of Defense for Special Operations and Low Intensity Conflict, and as the Deputy Assistant Secretary of Defense for Special Operations and Combating Terrorism, where he advised the Assistant Secretary, the Under Secretary, and the Secretary of Defense on policies, plans, authorities, and resources related to special operations and irregular warfare. David has 38 years of experience in nonprofit management and the military health system. He was selected as the first employee of Fisher House Foundation in 1994 when the program had 14 houses. He has the privilege of working with Ken Fisher, the Fisher family, and the Board of Trustees to expand the Foundation’s programs and the network of Fisher Houses. The program has flourished and is now recognized as one of the premiere nonprofits working to support the quality of life for our military and veterans families. David joined the Foundation in 1994 following his retirement from the U. S. Army. He holds a Bachelor of Science in Business Administration from Trinity University in San Antonio, Texas, and a Master of Health Administration from the U. S. Army - Baylor University Graduate Program in Health Care Administration. Coker has served on the Board of Directors for the Military, Veterans, and Patriotic Service Organizations of America and the Independent Charities of America. As President and CEO, Kathy is an award-winning management consultant with more than 25 years of progressive human capital management experience. Kathy has been featured on television, radio and quoted in numerous media publications including The New York Times, The Washington Business Journal, The Washington Post, HRO Magazine, Human Capital Magazine, Compliance Magazine and Virginia Business regarding human capital management and leadership challenges. Kathy holds an M.A. in Human Resource Management; a B.S. in Psychology from George Mason University and is certified as a Senior Professional of Human Resources (SPHR). In addition to serving as a Board member to The Leadership Center, Kathy has demonstrated a career of service and currently active on several Boards to include the Board for the Girl Scouts of the Nation’s Capital, The Women in Business Initiative for George Mason University’s School of Business, The Women in Business Council for the Northern Virginia Chamber of Commerce, LEAD Virginia and SECAF (the Small Emerging Government Contractors Advisory Forum). Kathy and her team at Helios HR have been honored by the Northern Virginia Chamber of Commerce, Women in Technology, The National Capital Business Ethics Forum, Leadership Fairfax and SmartCEO for their intentional community outreach and their role as a catalyst for impact. Chris has twenty-three years of insurance experience working in operations, sales, corporate human resources, and employee benefits consulting. Prior to joining Lockton Companies, Chris spent eleven years with Wells Fargo Insurance (previously Wachovia Insurance Services and Palmer & Cay). As the founding member of the Washington, DC Employee Benefit Practice, Chris oversaw the growth of the local practice and later served as the Practice Leader for the Mid-Atlantic Region (MD, VA, DC, KY, NC, SC, and WV). He also held positions with Ahold USA, Mercer HR Consulting, Oppenheimer & Company, and Merrill Lynch. Chris founded two local employer benefit surveys that provide benefit plan design and strategy insights for key local industries – Government Contracting, Professionals Services, Non-Profits, and Technology Companies. Chris works with clients in the design, procurement, communication, and implementation associated with their employee benefit strategies. Megan Brown is a partner at Wiley Rein and leads its multidisciplinary cyber practice. She represents corporations in complex litigation and regulatory proceedings concerning technological innovation and regulation. Megan helps clients respond to agency inquiries and develop compliance strategies under a variety of statutes, including the Federal Trade Commission Act, the Federal Communications Act, and state consumer protection law, as well as the U.S. Constitution. She has deep expertise in cybersecurity and data privacy issues, working for national and global companies on cutting edge compliance and other issues. 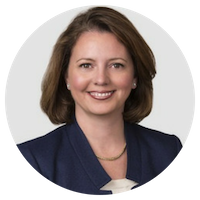 As a former senior U.S. Department of Justice official in the George W. Bush administration, Megan is well-positioned to help clients navigate the current administration. Angie Casper is Executive Vice President and Chief Human Resources Officer (CHRO) for CACI International Inc. She works closely with CACI’s executive team, business groups, and staff organizations to align the company’s Human Resources (HR) initiatives with strategic goals and objectives. Her responsibilities include providing strategic direction for the full range of human capital functions, with an emphasis on employee development, leadership development, and talent management initiatives. She has more than 30 years of experience in supporting, developing, and leading HR organizations.Before joining CACI, Ms. Casper served as Senior Vice President and CHRO for LMI, a private, not-for-profit management consulting company. Her achievements in this position included leading an organizational redesign to maximize capability in key services and markets, and redesigning career and compensation structure to support the new organization and create a culture of career mobility. Tim is a veteran of the professional services industry whose business leadership roles helped build and grow premier companies in the industry. As owner, President and CEO of ASI Government, LLC, he puts his experience to work to create value for clients who leverage the marketplace to create mission essential capabilities for dozens of public sector organizations. He believes that value in ASI’s business is driven by services and solutions delivered by highly skilled consultants and experts in acquisition, combined with deep understanding of clients’ organizations, and hunger to create desired mission outcomes. Tim joined ASI in 2013 as President of the company’s Consulting Division and was selected to be President and CEO in 2015. In 2017, he relaunched the company as owner to continue its work helping to create, guide and implement at-scale innovations in federal acquisition. That work began with helping to develop Performance-based Acquisition and the Strategic Sourcing Initiative in the federal government. The latest such initiative is Category Management. He received a Hammer Award from the Secretary of Defense for his work on acquisition reform. Dominic Delmolino is the Chief Technology Officer at Accenture Federal Services. He is responsible for the oversight, strategy and definition of Accenture Federal Services technical offerings. In his career, Delmolino has assisted clients in the application of leading edge data management and software development productivity solutions, with a specialization in Oracle knowledge that had him named Oracle ACE by Oracle Corporation in 2013. He has worked with large government agencies to design database architecture, directed the development and deployment of sales and customer database software, and managed a database R&D establishment. Delmolino is an expert in system and data modernization, agile application and database development for high performance, and rapid deployment of large-scale systems. He also specializes in technical oversight and review of sales and proposal activities for complex cloud infrastructure and application development sales efforts. Joseph DeNardi joined Stifel in 2008. Based out of the Baltimore office, Mr. DeNardi is a Managing Director in the Transportation & Logistics sector, covering Airlines, and the Aerospace & Defense sector, covering Defense & Government Services. Mr. DeNardi won stock picking awards from Starmine in 2016 for Airlines (#3) and Aerospace & Defense (#2), in 2018 for Aerospace & Defense earnings estimates (#3), and was named a Rising Star by Institutional Investor in 2015 and 2016. Before launching coverage, Mr. DeNardi served as an associate analyst supporting the research of the Aerospace, Defense and Government Services industries. 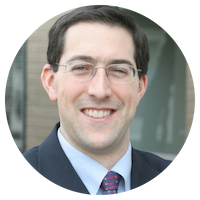 Mr. DeNardi is a graduate of the College of William and Mary and holds a master’s degree in finance from Loyola University. Cos DiMaggio is a Founder and Chief Executive Officer of The Tauri Group. Through his visionary leadership, The Tauri Group has established a reputation for outstanding service and commitment to homeland security and national defense. Mr. DiMaggio has over 35 years of commercial and government leadership experience, and he is a sought-after subject matter expert in rapid capability development, weapons of mass destruction (WMD) threat mitigation, and resilience for core Department of Defense and Department of Homeland Security missions. Mr. DiMaggio serves as Vice Chairman of the Homeland Security and Defense Business Council Board of Directors, and he is Chairman of the Board for the Metropolitan School of the Arts. Mr. DiMaggio holds a Master of Public Policy Analysis and an interdepartmental Bachelor of Arts in astrophysics and geology from the University of Rochester. Peter’s practice includes a wide range of litigation, counseling, and transactional capabilities, including: compliance reviews; enhancing and implementing compliance programs; due diligence in the transactional context; structuring transactions; dispute resolution; bid protests; complex investigations relating to the civil False Claims Act, the Anti-Kickback Act, the Procurement Integrity Act, and other civil and criminal matters; grants and related requirements; GSA Schedule contracting; contract negotiation and administration; suspension and debarment proceedings; and mandatory disclosures. Peter has handled government contracts aspects of transactions for entities such as HP Company, DXC Technology, Vencore, Hewlett Packard Enterprise, Accenture Federal Services, Madison Dearborn Partners, Huntington Ingalls Industries, and Garda. Timothy R. Garnett is a founder of Avascent and head of the M&A and transaction support practice at Avascent, a strategic management consulting firm focused on aerospace, defense and public sector markets. Mr. Garnett provides strategic guidance on inorganic growth strategies and critical business evaluations to corporate development teams and financial sponsors and advisors (private equity, debt providers, investment banks) focusing on the aerospace, defense and public sector-focused industries (education, health, public safety, civil services). Mr. Garnett operates across various stages of the transaction lifecycle, including capabilities inventories, opportunity gap analyses, buyside candidate screenings, commercial due diligence, post-merger integration, and sell-side strategic positioning. Within each of these service offerings, Mr. Garnett offers unique perspectives on market environmentals, business functionality and value propositions, operational dynamics and financial performance. 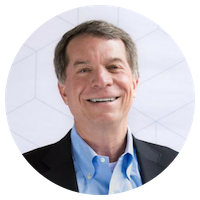 As a venture capitalist and seasoned operator, Rick has invested in some of the most dynamic companies in security, enterprise infrastructure and storage. During his 19 years of venture capital experience, which includes co-founding and serving as Managing Director of Fairhaven Capital, he has led investments and served on the board of directors for companies including EqualLogic (acquired by Dell), Prelert (acquired by Elastic), Pwnie Express, Resilient Systems (acquired by IBM), Trackvia, VeloBit (acquired by Western Digital) and most recently Allure Security, Armored Things and Terbium Labs. He is also active with various entrepreneurial programs at the Massachusetts Institute of Technology (MIT), Harvard and Tufts Universities, and is a frequent judge at MassChallenge. Rick’s contributions to the broader community include serving as a member of the Board of Directors of Big Brothers Big Sisters of Massachusetts Bay, as Vice Chairman of the Board of Overseers at the Museum of Science in Boston, and as a member of the Educational Council at MIT. civilian agencies, and the commercial sector. In the past, Mr. Hathiramani served as the Chairman, Chief Executive Officer and president of Vistronix and was a member of the Audit and Compensation Committee. Michael shares overall responsibilities for all management and investment activities of the firm. Michael joined upon Arlington’s formation in 1999. Michael has primary responsibility for the firm’s government services investments and shares responsibility for the firm’s software and business services investments. Michael has over 20 years of private equity and merger and acquisition transactional experience having been involved in approximately 50 transactions. Prior to Arlington, Michael worked at Lazard Frères & Co. based out of New York in the Telecommunications and Technology practice, where he focused on advising corporate clients on mergers and acquisitions. Michael’s transaction experience includes MCI Communications’ $43 billion merger with WorldCom – which at one point was the largest non-bank transaction of all-time and 360 Communications’ $6 billion merger with ALLTEL Corporation. While at Lazard, Michael also executed a number of transactions in IT services, including Cap Gemini/Beechwood, Intelligent Electronics/Xerox Corporation and GE Capital Consulting/Metamor Worldwide. Chairman & CEO, Consortium Management Group, Inc.
Charlie McBride is the Chairman and CEO of Consortium Management Group, Inc., the management company for two successful Other Transaction Agreement (OTA) consortia -- Consortium for Energy, Environment and Demilitarization (CEED); and Consortium for Command, Control and Communications in Cyberspace (C5). Mr. McBride launched and began operations of his first OTA consortium, CEED, in 2010, and C5 commenced operations in 2014. Each consortium operates under a ten-year OTA with the Department of the Army, and a five-year OTA with Marine Corps Systems Command. Today, the two consortia have a combined membership of 1,500 organizations and have facilitated $1.5 billion in project awards for more than 170 customers across the DoD. Mr. McBride has been instrumental in the development of CMG’s many innovative approaches for the use of OTAs. 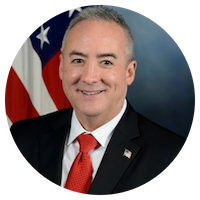 In addition to his management and governance duties at CMG, he works closely with the Congress, the Department of Defense and industry groups to promote and ensure the proper use of OTA acquisition. This includes participating in and speaking at industry- and Government-sponsored events around the country. Mike Molino is ASRC Federal executive vice president of corporate development. In this role, Molino leads the company’s mergers and acquisitions (M&A) strategy and business development, ensuring effective capital deployment and strategy alignment. Molino has more than 15 years of industry experience in the areas of corporate strategy, M&A due diligence and integration, business development, market expansion, business strategy and financial management. 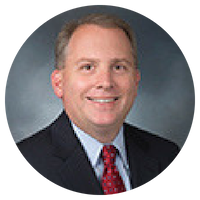 Prior to joining ASRC Federal, he served as senior vice president of strategy and corporate development for Leidos. Prior to his career in the private sector, Molino served in the United States Army in a number of different logistics roles, guiding multiple project teams that successfully provided logistics support for deployment exercises, natural disaster relief and training programs. Molino holds a Bachelor of Science degree from the United States Military Academy at West Point and an MBA from the Johnson School of Management at Cornell University. James Mulvenon is General Manager of SOSi’s Special Programs Division, where he has recruited and trained a team of nearly fifty Chinese, Russian, Korean, Arabic, Farsi, Dari, Pashto, and Urdu linguist-analysts performing research and analysis for US Government and corporate customers. A Chinese linguist by training, he is a leading international expert on Chinese cyber, technology transfer, espionage, and military issues. Dr. Mulvenon received his B.A. in China Studies from the University of Michigan, studied Communist Party History at Fudan University in Shanghai, and received his Ph.D. in political science from the University of California, Los Angeles. His dissertation, published by ME Sharpe in 2001 under the title Soldiers of Fortune, details the rise and fall of the Chinese military’s international business empire. In 2013 he co-authored Chinese Industrial Espionage, which is the first full account of the complete range of China’s efforts to illicitly acquire foreign technology. Dr. Mulvenon is regularly invited to address senior government and commercial audiences on Chinese technology and cyber topics, and his comments have appeared in the Washington Post, New York Times, Wall Street Journal, and other international media outlets. Dr. Persons is the Chief Scientist of the Unites States Government Accountability Office (GAO). Dr. Persons is also the Managing Director of GAO’s Science, Technology Assessment, and Analytics team. In this rare dual role, Dr. Persons’ portfolio brings critical foresight to the U.S. Congress on every area of emerging technology, from artificial intelligence to biosafety to nanomanufacturing to synthetic opioids. Dr. Persons leads a large, interdisciplinary team whose work includes: advanced data analytics; the full spectrum of science, technology and engineering audits; the establishment of an Innovation Lab, and the authoritative best practices guides for federal agencies acquiring new technology. Read more here. As FMP’s Chief Executive Officer, Erin Pitera provides strategic leadership and direction for the company and staff. She guides FMP’s organizational performance to achieve long-term business growth and to provide exemplary service to our clients. Since joining FMP in 2004, she has served in senior positions leading FMP through a time of tremendous and successful growth. During her tenure at FMP, she also led large human capital transformation efforts with a diverse set of clients, and has worked extensively with the civilian acquisition workforce. 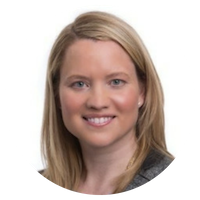 Erin has 15 plus years of human capital consulting, management and leadership experience, and has worked in both the public and private sector. Erin holds a B.A. Political Science and International Studies with a Minor in Economics from the University of Waterloo, and an M.A. in Industrial Relations from Queens University. Carey Smith is Chief Operating Officer, responsible for the profits and losses of the federal and infrastructure businesses, as well as implementing the corporate organic growth strategy built on continuous technology innovation. Before joining Parsons, she served in progressive leadership roles at Honeywell, including as President of its defense and space division, Vice President of Honeywell Aerospace Customer and Product Support, and President of Honeywell Technology Solutions, Inc. Prior to joining Honeywell, Ms. Smith held various positions at Lockheed Martin. She is on the NN Inc. Board of Directors and the Professional Services Council’s Executive Committee and Board of Directors, and is a member of the Intelligence National Security Alliance. John is a Managing Director in Baird’s Global Technology & Services team and Co‐Head of the Baird Government Services & Technology Investment Banking practice. Baird’s Government Services & Technology practice has closed 11 transactions 2018 and 2019 valued at $2.2 billion in transaction value. Recent transactions include the sale of OG Systems to Parsons, the sale of G2 to Huntington Ingalls, the sale of Berico to Novetta, Parsons’ acquisition of Polaris Alpha, the sale of CNSI to A&M Capital, and the sale of ECS Federal to ASGN (f.k.a. OnAssignment). John joined Baird in 2018 from Houlihan Lokey, where he co‐led their government services investment banking team. Prior to Houlihan Lokey, John spent several years working in structured finance at firms such as Credit Suisse First Boston, Deutsche Bank, and Bankers Trust and worked as a management consultant for Booz Allen Hamilton. He is a board member of the Northern Virginia Chamber of Commerce, the Association for Corporate Growth (ACG) National Capital, and the Neediest Kids. Charles (Charlie) Sowell is the Chief Operating Officer at iWorks Corporation in Tysons Corner, Virginia. iWorks is a recognized leader in personnel security and vetting solutions, Agile, DevOps, DevSecOps, data analytics and cloud solutions. Charlie represents PSC’s 450+ member companies on the National Industrial Security Program Policy Advisory Committee (NISPPAC). He also represents PSC at Defense Acquisition University (DAU) courses giving an industry perspective on procurement and acquisition issues. He is a retired Navy Commander and former Assistant Deputy Director of National Intelligence at the Office of the Director of National Intelligence. Mr. Van Beuren is a member of Houlihan Lokey’s Aerospace•Defense•Government practice, overseeing the firm’s government services clients. He brings to his position 20 years of experience helping middle-market companies maximize value through mergers and acquisitions. Mr. Van Beuren was a Managing Director and Partner at Bluestone Capital Partners prior to its merger with Houlihan Lokey in 2017. He started his investment banking career at Windsor Group, LLC in 1998 and was serving as a Managing Director in 2005 when the market-leading firm was sold to BB&T Capital Markets. Over the course of his long tenure and focus on the aerospace, defense, and government services sector, Mr. Van Beuren has closed more than 50 transactions, including with many of the most revered companies in the industry, such as Booz Allen Hamilton, Computer Sciences Corp., Lockheed Martin, General Dynamics, L-3 Communications, Northrop Grumman, and Raytheon. Mr. Van Beuren is a former board member and past President of the National Capital Region of the Association for Corporate Growth (ACG), an organization that has recognized him as an Investment Banker of the Year. President and CEO, Systems Planning and Analysis, Inc.
Dr. William L. Vantine is the President and Chief Executive Officer of Systems Planning and Analysis, Inc. (SPA) where he leads a team of highly skilled professionals working in the national defense, security, and advanced technologies communities. 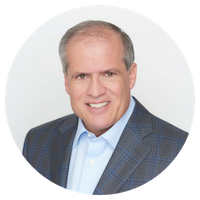 A results-oriented executive with more than 30 years of experience in the government and commercial sectors, Dr. Vantine is a strong technical leader with a proven track record of growing companies ethically and with the highest integrity. Highly skilled at working with teams to create an executable company strategy and ensuring that tactical decisions align accordingly, he has a proven track record of delivering exceptional results. Prior to joining SPA, Dr. Vantine served as the President and Chief Executive Officer of the Los Alamos Technical Associates, an engineering and technology firm supporting the Departments of Energy and Defense as well as numerous commercial clients. Previously, he served as the President and Chief Operating Officer of the ARES Corporation where his leadership helped the company grow by more than one thousand percent over a fifteen year period. Bill sets and drives the strategy and growth for the corporation. With more than 25 years of technology and leadership experience across the public and private sectors, he is recognized for building and maturing technology and solutions-based organizations while balancing evolving customer needs. Bill joined KeyW from XLA, a technology firm, which supports the federal government in areas of national security and diplomacy, where he served as president and chief operating officer. Prior to XLA, he served as president of Kaseman, a professional services firm supporting the U.S. government in nation building and foreign policy assistance. Before that, he was senior vice president at GTSI Corporation, a technology provider to the U.S. government. At GTSI Corporation, Bill launched and developed a professional services business, which accounted for one quarter of the company’s revenue and one third of its profit. He has also held senior executive positions, each focused on generating new solutions and growth, with McData, CNT Corporation, Inrange Technologies, International Network Services and AT&T. Bill holds a Bachelor of Science degree from Washington University and is a graduate of The Executive Program at the University of Virginia Darden School of Business. He is a former U.S. Army Officer and Airborne Ranger. George Wilson is chief executive officer and president of ECS. Under his leadership the company has grown from a small, services-oriented business into a company with more than 2300 employees providing cloud services, cybersecurity, and IT solutions. Revenue has increased, during his tenure, from just over $100M in 2010 to over $600M targeted in 2018. 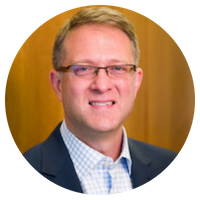 Mr. Wilson joined ECS in 2011 as chief strategy officer and was promoted to president and chief executive officer in February 2014. Prior to joining ECS, he was instrumental in growing Stanley Inc. from a small, private business with 20 employees and $2 million in revenue to a public company of nearly 6,000 employees and more than $900 million in annual revenue. While at Stanley, Mr. Wilson organized and led executive teams responsible for customer relations, corporate development, business growth, strategic investments and company strategy. Mr. Wilson holds a Bachelor of Science in electrical engineering from United States Naval Academy and a Master of Business Administration from George Washington University. 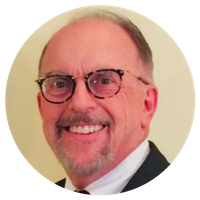 He serves on the ECS board of directors, and is a board member of Professional Services Council, Brain Injury Services, and the Washington Choral Arts. Mr. Wilson received the 2018 Wash100 award, recognizing his impact in the GovCon sector.